WE CARE WHAT YOU WANT! 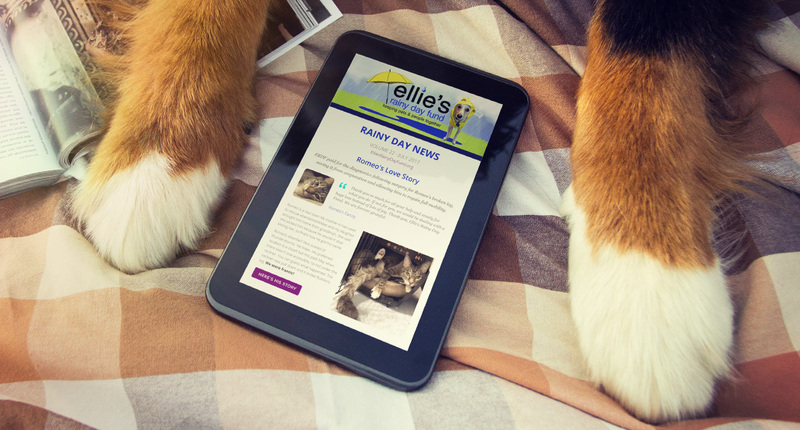 Ellie's Rainy Day Fund wouldn't be here without YOU! YOU keep furry members in their families. YOU save lives. I know that sounds dramatic, but it's true. Our newsletter is an attempt to introduce you to some of the folks whose lives you transform; to pass on info that is useful in enhancing the lives of your pets; and to let you know about fun things to do with your fur crew (that will also enable more families to be helped). I know your time is precious and your inbox gets full. What would make this communication worth your time? Would you please take a few minutes to tell us how to do this better? How often do you read the newsletter? Please rank order the sections by your level of interest. Choose "Not Interested" for sections that don't interest you. How can we make the newsletter better? What else should we include? How long have you been receiving the newsletter? Did our email come to your inbox or did you find it in spam?